If you want a very unusual setting for a romantic dinner or to watch a show, then the Nouvelle Seine is actually a peniche, or barge, located on the River Seine opposite the Ile de la Cite island with fabulous views of Notre Dame cathedral, and with a theatre below deck and the restaurant on the top deck with its large picture windows, this has become a popular venue for both tourists and Parisians. La Nouvelle Seine is a converted peniche, or barge, that is permanently moored on the River Seine, which was first opened in the summer of 2013 and since then has become a resounding success for both locals and the many tourists that want something just a little different. This prestigious barge has three distinctive areas, with a bar serving all kinds of different drinks and cocktails along with a theatre on the lower deck that has an intimate atmosphere in an unusual setting, that can only accommodate approximately 100 people for a show. And there are a variety of different shows organised, with some that are regular features such as a show for children on a Sunday afternoon along with the stand up comedian Sebastian Marx providing a show in English as of 2015. 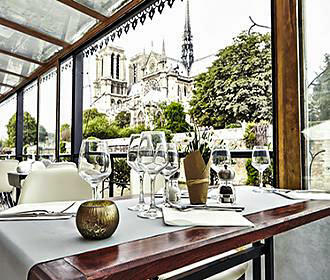 Now the third area is the upper deck, which is a restaurant that can accommodate approximately 60 people at any one time, with large picture windows providing a fabulous view over the River Seine to the historical Notre Dame Cathedral, that makes this an ideal place for a romantic dinner. On a Sunday you will find that La Nouvelle Seine provides a brunch that consists of pastries and bread followed by fresh fruit, then a starter, a main course consisting of items such as smoked salmon, scrambled eggs, bacon, Serrano ham, etc, then you get a dessert such as creme brulee. You can also have a hot drink of your choice such as coffee or a variety of different teas to choose from, along with fresh squeezed orange juice that you can top up as desired, and this is a cost of €26 as of 2015. 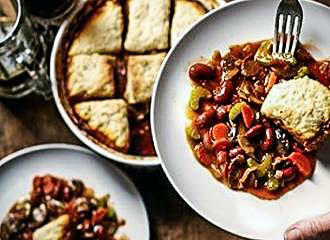 However, there is also an a la carte menu for other days of the week, served either for lunch or dinner, but do bear in mind that the items we list below may not always be available, as the menu changes according to the seasons, and they also always have a special of the day. Yet starters could be Red tuna tartare, Green asparagus with mousseline sauce or vinaigrette, Pressed Foie Gras or a Salad with crayfish tails, avocado and tomatoes for example. 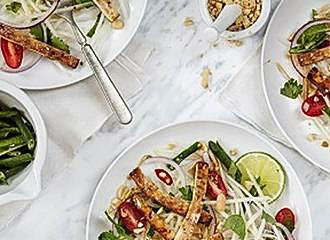 Main courses could be Chicken supreme, Veal medallions served with gravy and spring vegetables, Fillet of beef with house fried potatoes or Linguine, tomatoes, fresh basil and roasted prawns, and these are an average cost of around €20 as of 2015. You could opt for a cheese course, such as an AOC cheese platter or have this as your dessert, but there are also tempting desserts on offer such as dark chocolate mousse, a strawberry tart, fresh fruit salad or a cafe gourmand with three sweets. You will find that La Nouvelle Seine is open on a Tuesday through to a Sunday from 11am through to 2am, yet is closed on a Monday and can be closed on certain national French holidays along with other times when the boat has been privatised for a special function. Also this restaurant in Paris is open for lunch service between midday and 2pm, and then in the evening from 7pm, but the Sunday brunch is available from 11am through to 4pm, however, we would like to point out that reservations are highly recommended, due to the limited number of places. 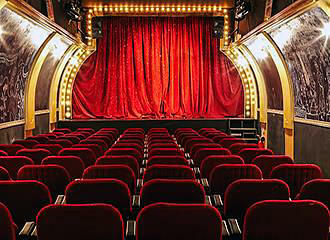 When it comes to this unusual venue for a theatre in Paris, as we have previously mentioned, there is normally a childrens show on a Sunday afternoon, yet other shows and concerts are organised at different times and on different days throughout the year. So again, it is advisable to contact the Nouvelle Seine to find out about upcoming events and also to ensure you book your place. 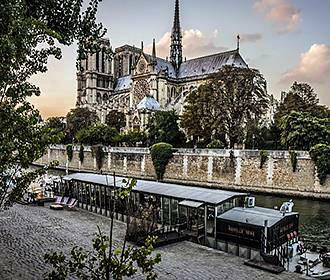 Now when it come to getting to this floating entertainment venue and restaurant, this is located right by the Pont de l’Archeveche on the left bank of the River Seine opposite the Notre Dame Cathedral in the 5th Arrondissement where it is moored on the Quai de Montebello. And when it comes to public transport in Paris, there are several options that will get you close by including the Maubert - Mutualite stop serving line 10, yet there is also a station on the island called the Cite stop that serves line 4. But on the opposite bank you have the Hotel de Ville Metro stop that serves lines 1 and 11. When it comes to the RER trains, the nearest station to La Nouvelle Seine is the St Michel stop for line B, but the bus numbers 24 and 47 will also get you close by, as will the Batobus, which is the water bus service in Paris.